SDL500R Setting up Communication - NexSens Technology Inc.
iChart Software is used to communicate with the SDL500R. Follow the Setup Device Wizard to set up a project. 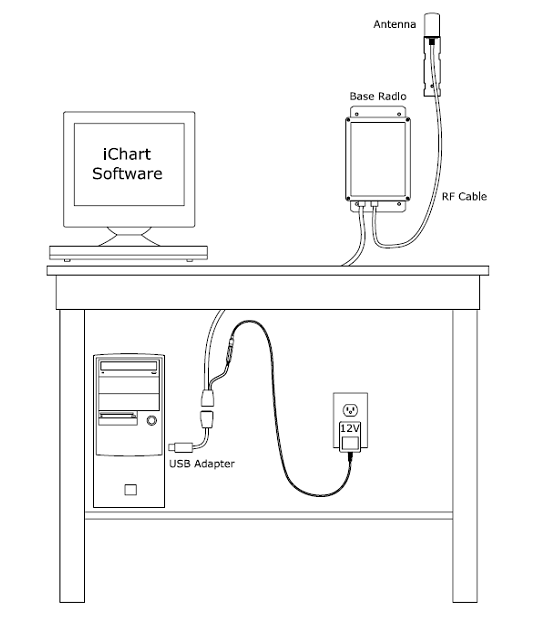 Figure 2: iSIC Setup window. Use COM Port of 4100-BASE and click Connect. Select the PC COM Port that the base station is connected to and specify the correct iSIC Address. 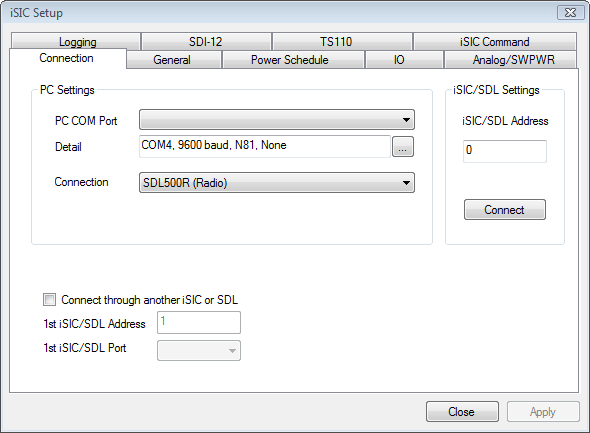 Set the Connection type to SDL500R (Radio). Click Connect and then switch to the General tab. 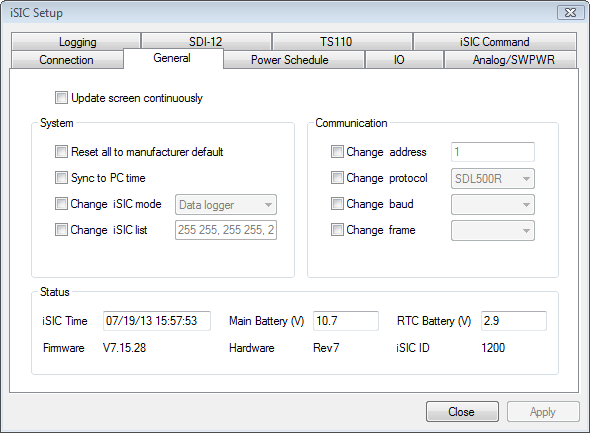 The SDL500R will send its current status (time, operating battery voltage, real-time clock battery voltage, firmware version, hardware version and ID) to iChart via the radio base station. If this information is displayed, communication has been established. Proceed with connecting sensors.